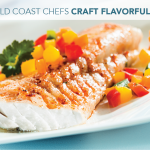 The Emerald Coast is an attractive area for investing in second homes. In recent articles we’ve told you about the area’s healthy tourism and economic outlook and why the future of real estate sales is expected to remain promising. Just as a refresher, visitor numbers in South Walton alone grew from 3.2 million in 2015 to 4.1 million in 2017. 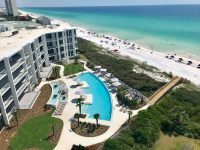 The Emerald Coast enjoys a high volume of return visitors (more than 10 times for many), and the majority rent condos or homes during their stay. Here at The Premier Property Group (PPG), we understand why so many people fall in love with the communities we serve and want to own property here. It’s our goal to make sure that customers make the best choices for their own unique circumstances. Recognizing that many factors will come into play before an individual is ready to make an offer, PPG Broker Barbara Schott offers insights into some preliminary steps that should be considered before beginning the second home investment process. While all property purchases are investments on some level, the factors influencing purchases will vary greatly depending on an individual’s goals. If the end-game is to generate a steady revenue stream or turn a profit within a couple of years, then the approach to buying becomes much more about value than personal preferences. For instance, many investors look to the shoulder seasons—spring and fall—to make a purchase as the inventory for good investment properties tends to go up. A buyer may consider a rehab property during the fall, giving them time to spruce it up and either put it on the rental or buyer’s market before the high tourist season. 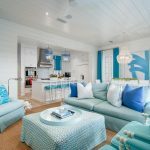 In contrast, a family interested in having access to a vacation home or a retired couple looking to invest in a winter home will have much different goals. In these cases, the decision to buy becomes much more emotionally-based, and personal preferences may outweigh value. 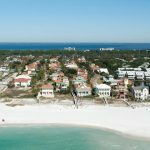 It’s true that many potential 2nd home buyers have visited the Emerald Coast multiple times and have some familiarity with the area. But, when it comes to making a 2nd home investment, it’s important to have a deep understanding of the varying neighborhoods and communities that exist. Some important questions to consider may include: What are the demographics of a community? Are most homes primarily occupied by owners or visitors? How does the high tourism season impact a neighborhood? How convenient is a neighborhood to shopping, dining and entertainment? What are the homeowner’s association dues and requirements? While there are no wrong answers to any of these questions, they can be important considerations when trying to align with a buyer’s specific goals and needs. Having a clear understanding of financial parameters is a critical first step before embarking on a second home purchase. 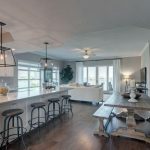 For instance, if a family wants to purchase a vacation home in our area’s popular Watercolor community, it’s important that they evaluate a realistic budget before investing a substantial amount of time looking. At PPG, we suggest potential second home investors pre-qualify with a bank early in the process. In addition, it’s important to consult with a certified public accountant or financial advisor to fully understand tax liabilities of property investments. 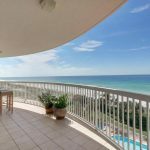 Property management is an important consideration, especially since many second home owners along the Emerald Coast live outside our geographic boundaries and in other states. Those seeking to invest in property should consider how they will address such things as repairs, general property upkeep and yard maintenance. They will also want to determine how decisions align with any homeowners association requirements. 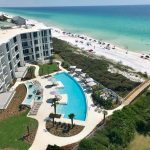 The good news is that many options exist along the Emerald Coast, from use of a property management company to concierge services and self-management. The best way for potential investors to make smart second home investment decisions is to align with knowledgeable, customer-focused real estate group. At PPG, we are one of the top, locally-owned, independent real estate firms in Northwest Florida and have ranked in the top 10% of luxury sales from the Emerald Coast Association of Realtors since our first year of operation. 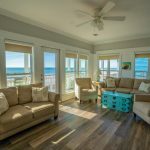 Simply put, we know the Emerald Coast and pride ourselves in being the local experts across the region’s top communities including South Walton, Destin, Miramar Beach and Scenic Highway 30A.